Thomson, J.A. et al. 1998. Embryonic stem cell lines derived from human blastocysts. Science 282: 1145-47. Itskocitz-Eldor, J. et al. 2000. Differentiation of human embryonic stem cells into embryoid bodies comprising the three embryonic germ layers. Mol. Med 6: 88-95. Kurosawa, H. 2007. 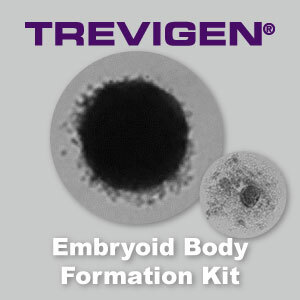 Methods for inducing embryoid body formation: in vitro differentiation system of embryonic stem cells. J Biosci Bioeng. 103:389-98. Reubinoff, B.E. et al. 2000. 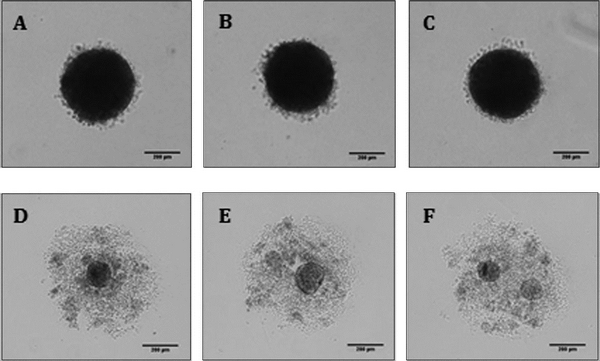 Embryonic stem cell lines from human blastocysts: somatic differentiation in vitro.Nat. Biotechnol. 18:399–404. Pyle, A.D., Lock, L.F., and Donovan, P.J. 2006. Neurotrophins mediate human embryonic stem cell survival. Nat. Biotechnol. 24:344–350. Peerani R., et al. 2007. Niche-mediated control of human embryonic stem cell self-renewal and differentiation.EMBO J. 26:4744 – 55. Bauwens C.L., et al. 2008. Control of human embryonic stem cell colony and aggregate size heterogeneity influences differentiation trajectories. Stem Cells. 26(9):2300-10. Watanabe K., et al. 2007. A ROCK inhibitor permits survival of dissociated human embryonic stem cells. Nat Biotechnol. 25(6):681-6. Goh S.K., Olsen P and Banerjee I. 2013. Extracellular matrix aggregates from differentiating embryoid bodies as a scaffold to support ESC proliferation and differentiation. PLoS One. 2013. 8(4):e61856.